Established in 1850 by Thomas Walker the shop traded for three generations of the Walker family; they were affectionately known as Old Tom, Young Tom and Young Tom's son Tom. Robin Maycock and his wife Glynis took over in 1977, the shop has gained a reputation for Excellent Quality, Personal Service and Good Value. Trained as a butcher, livestock buyer and slaughterman by his father, Robin inherited traditional values handed down by generations of dedicated farmers and butchers. Family traditions still apply today and the next generation is poised to take over; Robin's children Jonathan and his sister Emily, along with an excellent young team are in charge of day to day running of the shop. 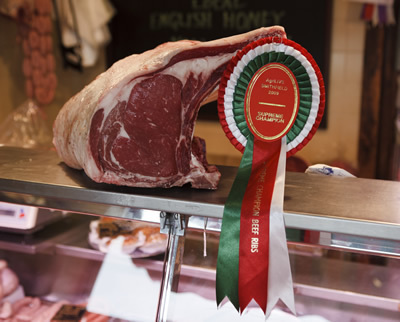 Maycocks is one of the few remaining butchers in the country who have complete control of their produce at every stage, from farm to plate. The small abattoir at the rear of the shop is one of the last of its kind. Jonathan has gained experience as a Cattle Judge at National Level, judging cattle at last year's "English Winter Fair" and is a farmer in his own right, keeping a flock of Texel sheep which are on sale at certain times of the year in the shop. The definition of a true "Master Butcher	" is a butcher who can select livestock, slaughter and dress a carcass, and display and offer for sale the cuts of meat. It is this attention to detail, expertise and tradition which makes Maycocks so special. All our beef comes from Ian Wildgoose at Scarcliffe Hall Farm, near Bolsover. Mr Wildgoose is as dedicated to traditional values and good quality as we are, he grows and mills his own barley and cattle feed on the farm ensuring a top quality beef. Glynis Maycock, a self taught baker and cook learned her baking skills from her mother and applied her creative talent to developing recipes for a market place crying out for home made products. 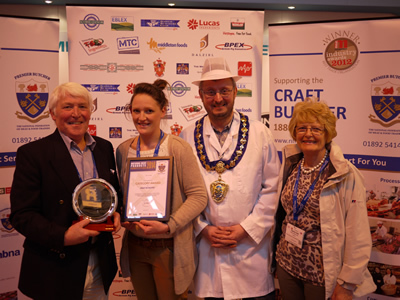 Glynis trained her daughter, Emily Maycock the next generation of bakers who has now taken the reins in the Bakehouse. Emily and her team produce a dazzling array of delicious cakes, and home cooked ready meals.